Brought to you by one of the UKÃƒÆ’¢Ãƒ¢Ã¢â‚¬Å¡¬Ãƒ¢Ã¢â‚¬Å¾¢s best-loved celebrity chefs and named in The Sunday Times Top 100 Restaurants 2015. James Martin, 2 Watson St, Manchester, UK M3 4LP. 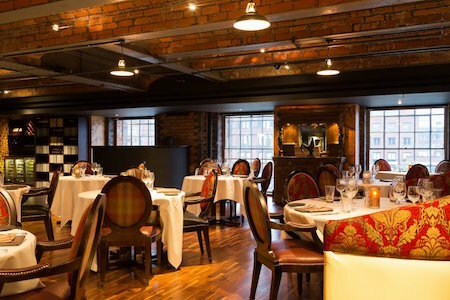 Brought to you by one of the UK’s best-loved celebrity chefs and named in The Sunday Times Top 100 Restaurants 2015, James Martin’s eponymously-named restaurant is found within Manchester’s glitzy 235 Casino. An on-site ‘meat market’ sees guests step inside a cavernous walk-in meat fridge, which showcases cuts from the menu.